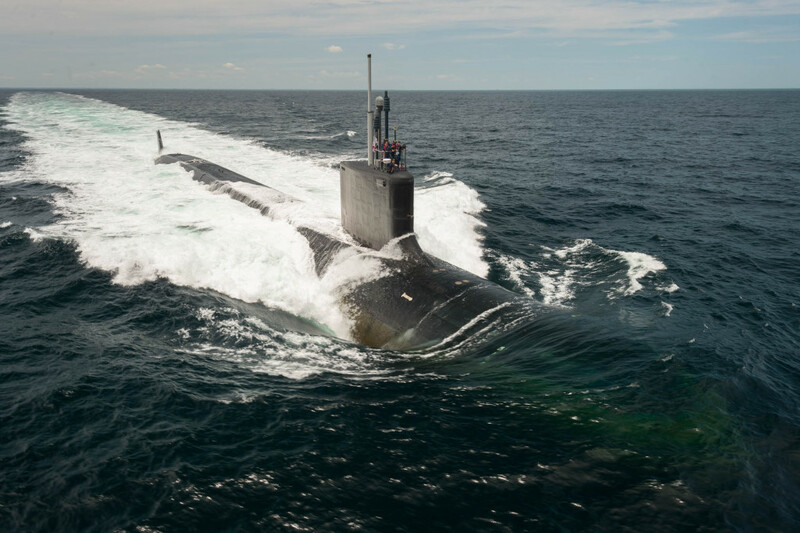 Huntington Ingalls Industries (HII) announced on September 1 that the Virginia-class submarine USS Washington (SSN-787) is «pressure hull complete», signifying that all of the submarine’s hull sections have been joined to form a single, watertight unit. 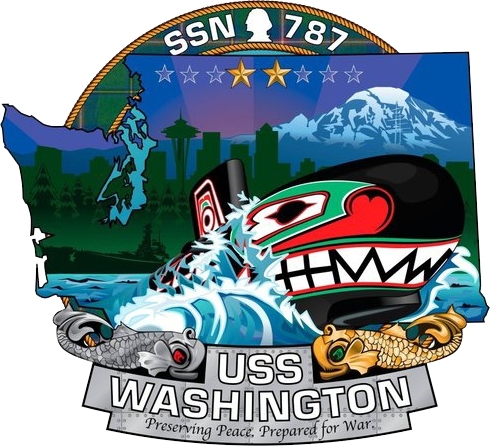 USS Washington (SSN-787) will be the U.S. Navy’s 14th Virginia-class submarine (VCS) and the seventh to be delivered by HII’s Newport News Shipbuilding division. 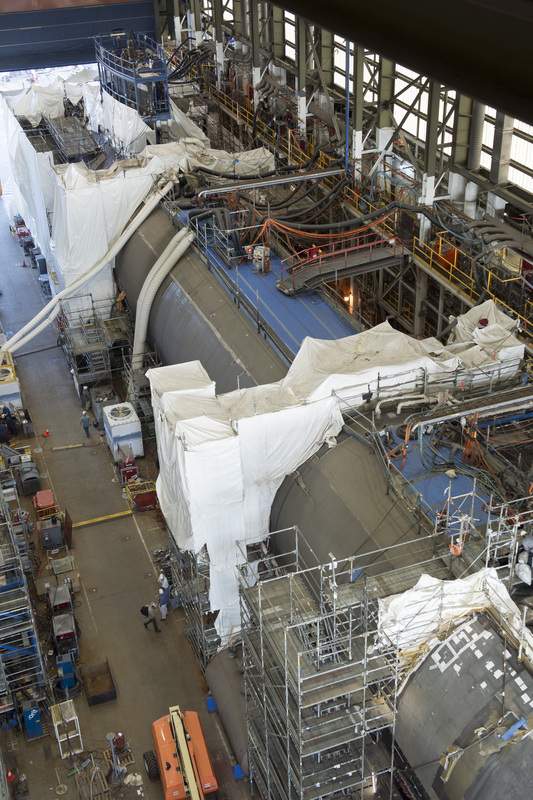 «Pressure hull complete is an exciting step toward the boat’s completion because it’s the point when the submarine really starts to take its final shape and is the last major construction milestone before christening and delivery next year», said Jim Hughes, Newport News’ vice president of submarines and fleet support. 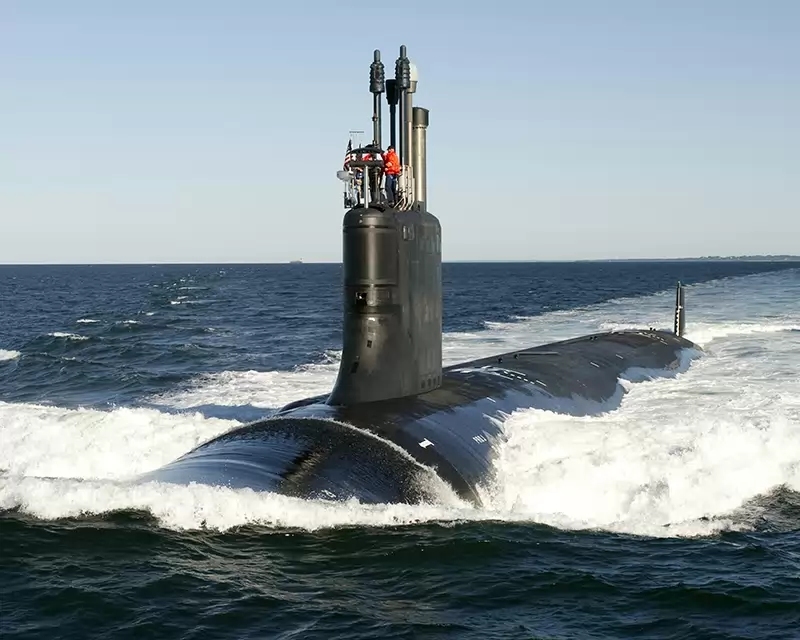 «As with all of our Virginia-class submarines, Washington represents a true team effort that involves our partners at General Dynamics Electric Boat, the Navy, our suppliers and the Washington crew». 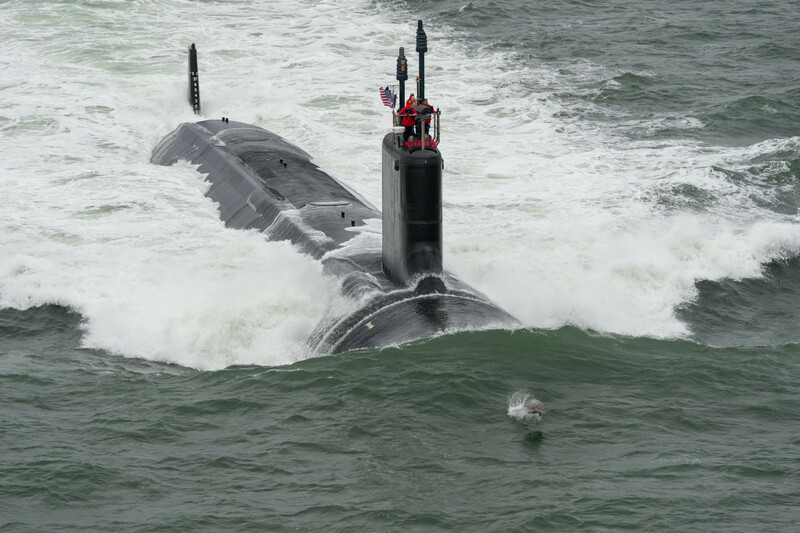 Washington’s construction, which began in September 2011 under a teaming arrangement between Newport News and Electric Boat, marked the beginning of the VCS program’s two-submarines-per-year build plan. The ship is currently 83 percent complete. «Over the last year and a half, I have enjoyed watching the many parts that make up a submarine come together», said Commander Jason Schneider, Washington’s commanding officer. «I can truly say Washington now looks like a submarine on the outside. I look forward to seeing the systems that make up the internals of the submarine continue to come together as we approach launch and delivery». 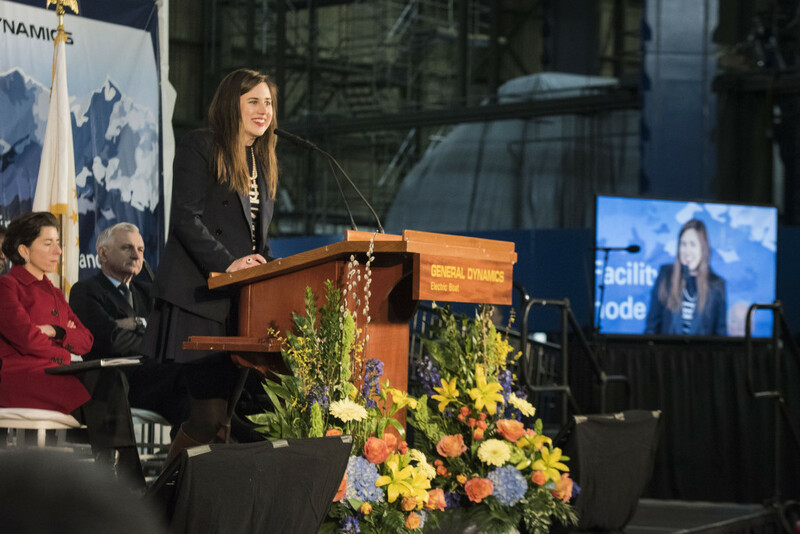 The keel of the 15th Virginia-class nuclear-powered fast attack submarine named for Colorado was laid at the Rhode Island manufacturing plant for General Dynamics Electric Boat Division on Saturday, March 7, at 1:30 pm. Colorado Secretary of State Wayne Williams represented the state at the keel laying ceremony. 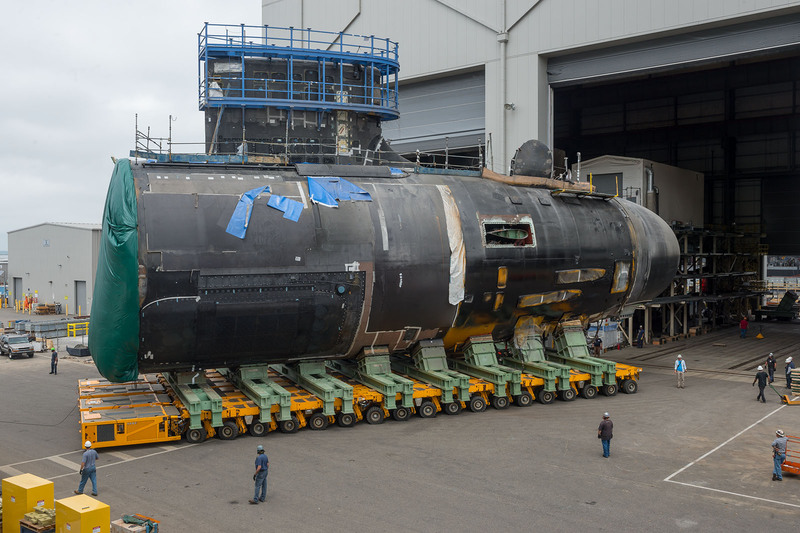 The construction milestone for SSN-788 was being marked at the North Kingstown shipyard. Annie Mabus, daughter of Navy Secretary Ray Mabus, is the ship’s sponsor. She authenticated the keel by chalking her initials onto a metal plate. The initials were welded and the plate was permanently affixed to the ship. By the way, the submarine doesn’t have a traditional keel that runs the length of the ship. USS Colorado is built in modules. Construction on the nuclear-powered fast attack submarine began in 2012. Colorado is slated to be delivered in 2017. When complete, the USS Colorado (SSN-788) will be a high-tech attack submarine. It is the third Navy ship to bear the name Colorado. The first was an armored cruiser commissioned in 1905. The second USS Colorado was a battleship that took part in the invasion of Tarawa during World War II. USS Colorado is so-called Block III submarine. The Third Block of the Virginia-class submarine began construction in 2009. Block III submarines feature a revised bow with a Large Aperture Bow (LAB) sonar array, as well as technology from Ohio-class SSGNs (two Virginia Payload Tubes each containing 6 missiles). 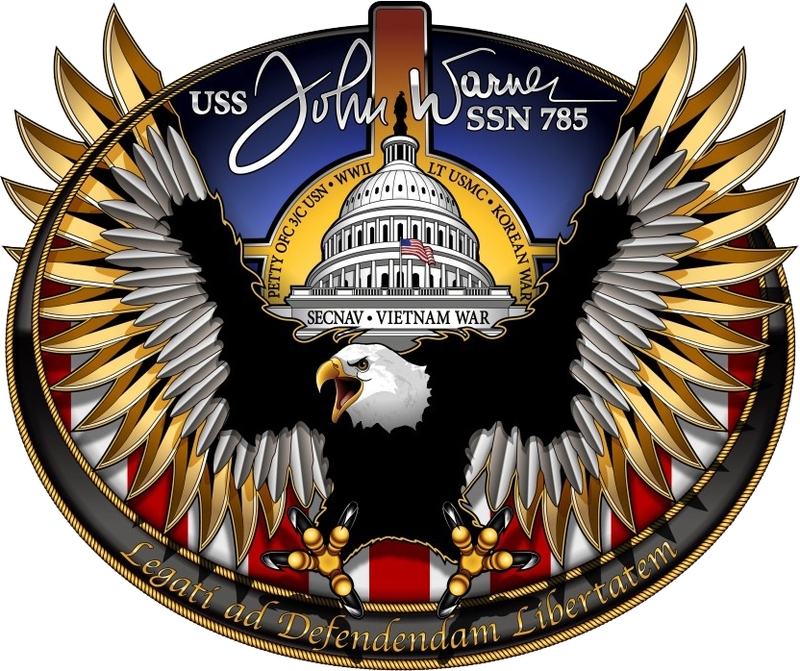 The horseshoe-shaped LAB sonar array replaces the spherical main sonar array, which has been used on all U.S. Navy SSNs since 1960. The LAB sonar array is water-backed – as opposed to earlier sonar arrays, which were air-backed – and consists of a passive array and a medium-frequency active array. Compared to earlier Virginia-class attack submarines about 40% of the bow has been redesigned.